Over the decades, many filmmakers have dealt with the rich and woolly topic of American roots music, but few have ever approached the ambition of the current three-part PBS documentary American Epic. An immersive and panoramic overview of American song in the 20th century, the film tramps an itinerant path throughout the roadhouses and juke joints of the rural South, the border towns of Texas and the Southwest, and eventually reaches as far as Hawaii. Abetted by extraordinary vintage footage, much of it recently unearthed, American Epic offers fresh revelations regarding artists ranging from the iconic to the obscure, all the while stitching together the diverse quilt of regional and cultural influences into a coherent and stunning whole. We spoke to the film’s director, Bernard MacMahon, about his experiences making the documentary, his feelings about the curatorial process, and what has been gained and lost in our current era of immediate access. One running theme of the series involves the tension between geographic isolation and the spread of music via technology and chronicling. For instance, the original Carter Family are described as essentially having no influences. It’s an aesthetic purity that is obviously permanently altered by the arrival of record labels and archivists. Is it fair to say that the early chroniclers of Appalachian folk and other forms of regional music irrevocably changed that tradition forever? If so, was this done with much ambivalence or self-awareness? What I love about these first recordings is how raw they are. The Carter Family’s first session in 1927 has this unbridled excitement. The music is a reflection of the wild Appalachian terrain the Carters grew up in. As a filmmaker I’m fascinated by how the eye informs the heart. Driving through these remote locations with the film crew, we would play the music from that area in the van and it was extraordinary how closely the melodies and rhythms reflected the terrain from which they sprung. I see music visually and I think it mirrors its environment perfectly. The music of the Hopi sounded otherworldly when I first heard it, but after traveling to the Hopi reservation and having the honor of being allowed to film there, I started humming their songs. “Chant of the Eagle Dance” now sounds like a pop single to me. 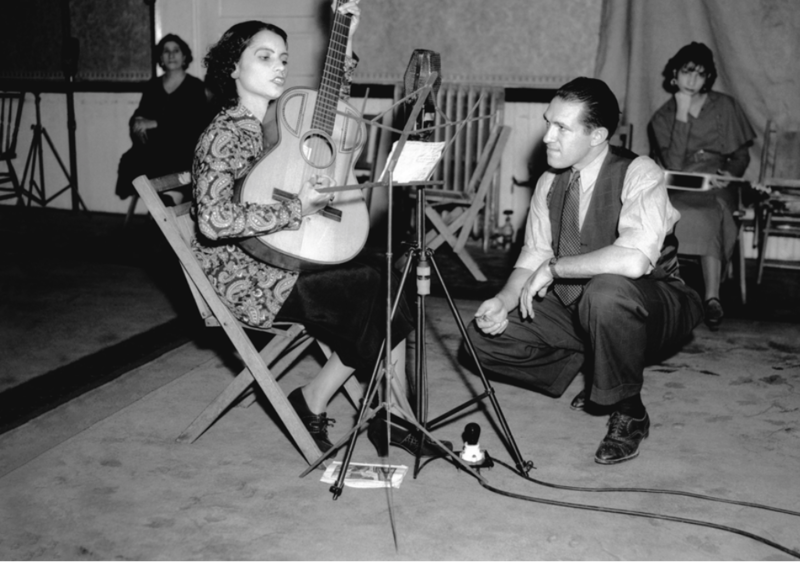 The artists who sold well enough to get to do another recording session would often travel to New York and Chicago to make their next records, and it was remarkable how quickly they became more polished and sophisticated when they came to the city regularly and some of that cosmopolitan pizzazz rubbed off on them. So it’s a lot of factors that change the music, including hearing other people’s records. But mostly it’s the environment. What makes these records so amazing is how pure a reflection they are of their environment, in contrast with today where an artist’s head can be wandering in the endless corridors of cyberspace, resulting in a vastly more synthesized sound. The cross-pollination between genres and regions was accelerated by technology, but certainly occurred organically before the existence of phonographs or the ubiquity of radio. One can often hear continuity between two 1920’s-era recordings that came from entirely different regional contexts and it’s fascinating. Were there any particular instances you discovered of early artists clearly influencing one another that you found particularly surprising? When the record companies began electrical field recordings in 1927, within a few months the whole of America was lit up like a Christmas tree. This was a revelation like the birth of the Internet. There was no radio in most of rural America, no TV, and talking pictures weren’t dominating our world, so these records were working people’s method of communicating with each other. The successes of this new medium produced a slew of imitators almost overnight. Just like today when someone has a hit with a new genre or style, it often burgeons into a movement in a few weeks. Record distribution was extraordinarily efficient back then. They invented the way we do most everything today. And as is the case in film, they did it better because there were no preconceptions. The second episode segment regarding the Hopi Indian Chanters is one of the more remarkable. I was not aware of a lot that connects Native American music to more popular forms, nor of the popularity of Indian Race records. Was this a revelation to you? I believe American music is a product of these myriad different cultures listening to each other and interacting. The first sound the early settlers heard was the Native American drum, so their music had to be in there if I was to tell the true story of America’s music in a film. It was not surprising to me how many of the groundbreaking musicians like Charley Patton had strong Native American heritage. 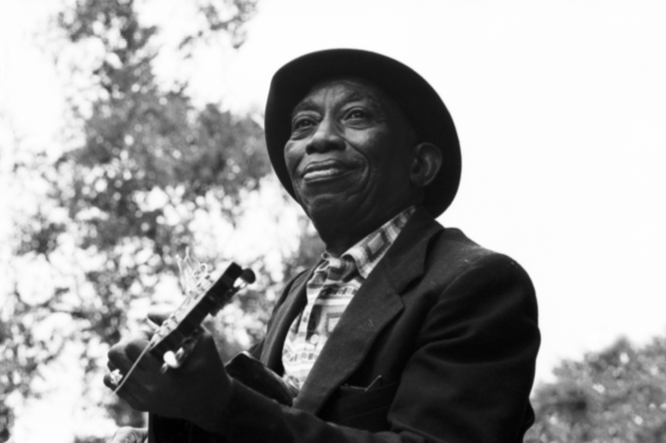 When I filmed the wonderful Honeyboy Edwards, he said “Charley Patton was Indian!” He really emphasized it. Taj Mahal confided with me how strong he felt that Native American music was in Delta Blues. But he said, “Who would admit to it? Black and Red. Man, that’s a double whammy!” Native American music is so pervasive that it’s part of the molecular structure of American music. It’s so embedded you don’t notice it. Much like Hawaiian music. But it’s flowing in there like blood in the veins. That’s why so many people in America today are obsessed with Native American culture. It’s in their DNA. I’m curious to know what your experience was with the American South? Had you traveled there much previously and did you find yourself personally disposed to it? For better or worse it is a place where the full weight of history seems to hover in the air. I love the American South as a filmmaker because it is visually so beautiful and mysterious. The South is very welcoming to the British. There are British traditions in the South today that are from my great grandparents’ era. Traditions that have almost vanished from the U.K. You hear old English expressions like “over yonder” that no one in Britain uses anymore. It was amazing to learn so much about my heritage filming in what my grandma would describe as “the new world.” That’s fascinating to me. It is a place filled with every kind of emotion from profound rapture to unspeakable suffering. The romanticism and the pain is why. Setting aside the greatness of the music, how much of the appeal of figures like Charley Patton and Robert Johnson extend from the inherent mystery of their persona and circumstance? Has your experience of making this film in any way caused you to lament the seemingly permanent loss of that sort of enigma from the culture? Is it possible we value things less as a result of their ubiquitous availability? Mystery is an essential ingredient in film, so I can appreciate its appeal in music. I love to get beneath the surface. It’s easy to trade in sideshow mystery. “He sold his soul to the devil” and all that hokum. The truth is infinitely more bizarre than fantasy. With the Delta Blues story in the film, I wanted to find why this music was so feral and why no one since had come close to its raw power. I filmed all these interviews with Delta Blues musicians in their nineties, and it was only when I studied them repeatedly that I noticed a common denominator — the mule. They all talked about how hollering at a mule in a field produced this booming voice, and the lope of the plowing created the rhythm. Well, The Rolling Stones have never plowed behind a mule and that’s why no one today will ever sound like Charley Patton or Howlin’ Wolf. As a British filmmaker, I’m curious to know your first experiences of American roots music. It has seemed at times that England and English artists have better understood American music than Americans themselves, as evidenced by the deep embrace of blues by the Beatles and Stones at a time when they were largely unfashionable in American markets. Do you have any theory as to why this might be? Is there some inherent advantage to viewing art from a slight regional and cultural remove? The purity of American music drew me in. Britain is an older country, so everything is naturally more self-conscious and self-referential. We love irony. These ’20s American performances are devoid of artifice. The complete unselfconsciousness and honesty of the performances captured my soul as it did so many British musicians. And being a filmmaker and primarily a visual person, I wanted to actually see these performers, but many were mysterious figures with no known photographs. To uncover these artists was my great opportunity to explore America, a country I love. I discovered America is still the same today. The same richness of culture. The same technological innovation. The same freedom of speech. And just like in the 1920s, America today is at a technological and ideological crossroads, hurtling into a new era with amazing possibilities and potentially terrifying consequences. America is the new frontier where the molten lava of the world is being solidified. It’s frightening, exciting, and inspiring. These films are a tribute to that. Part Two of American Epic airs May 23 at 9 PM on PBS.